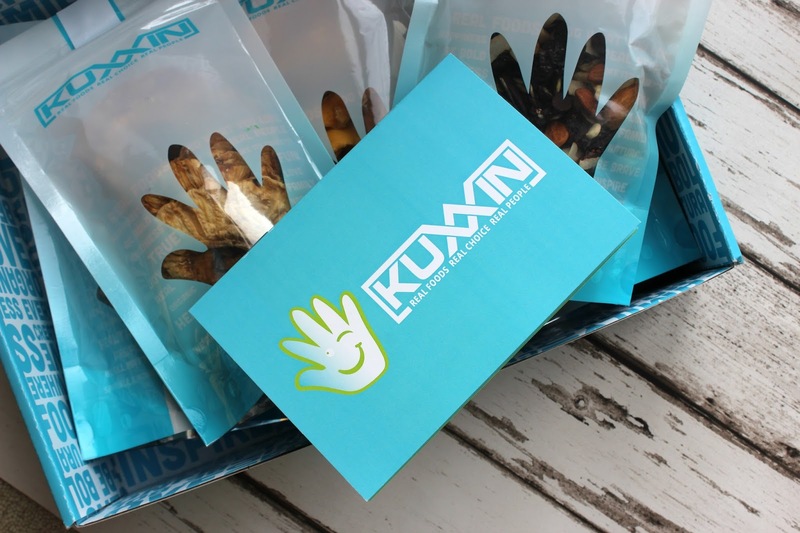 The Kuxxin snack subscription box* means that you can get a box of goodies delivered to your home or office every month. There are a few different payment plans available to suit your needs which you can find on their website, but the monthly cost of this is £24.95 in which you will receive 5 full sized products. 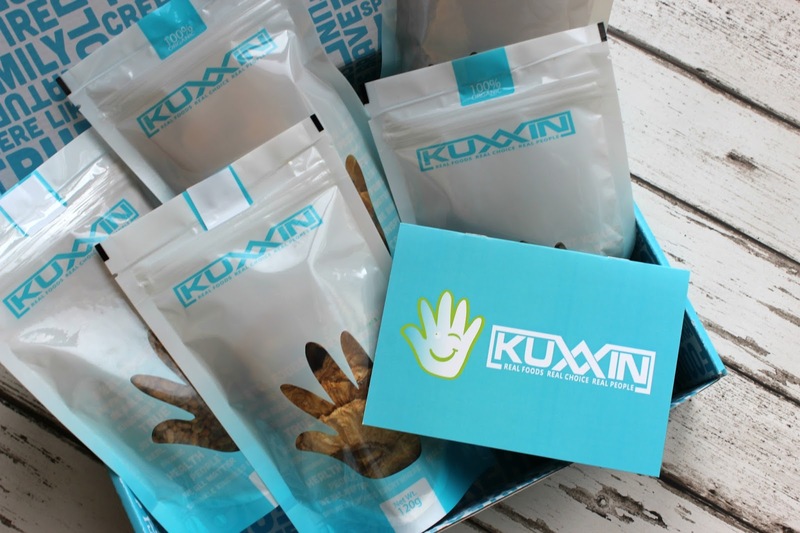 This is definitely one of the more expensive boxes that I have trialled for what you receive, but you do have to remember that all of the products in the box are completely natural and organic and they really are of such a high quality. 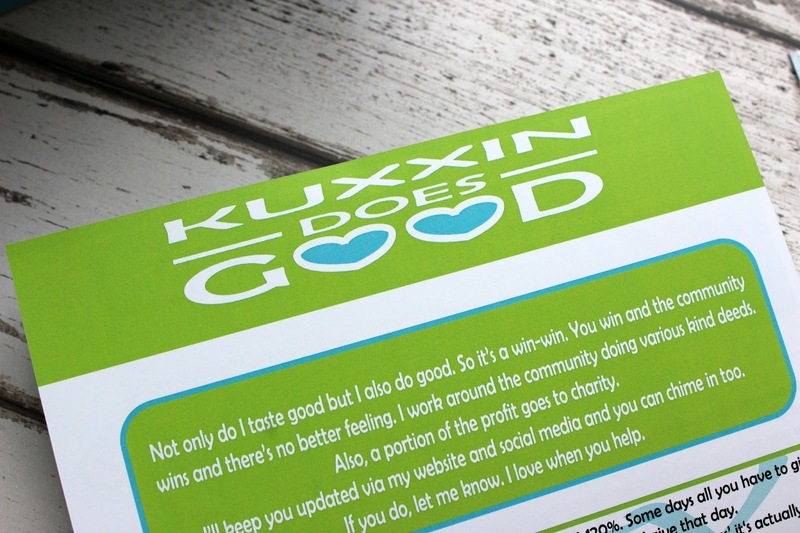 I absolutely love the packaging of Kuxxin, and the green and blue theme that they have running across the branding. The box is the perfect size which can also be reused for crafts afterwards or recycled. 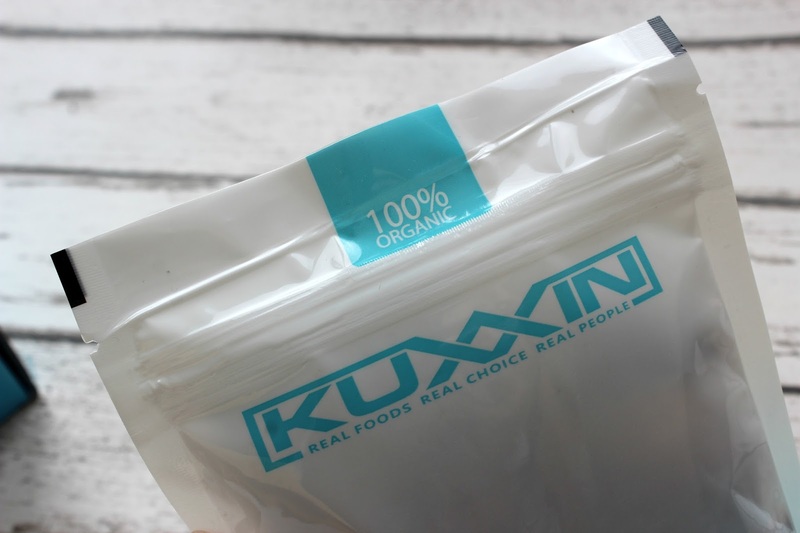 The bags of products that are included in the box are incredibly well labelled which really is a necessity. 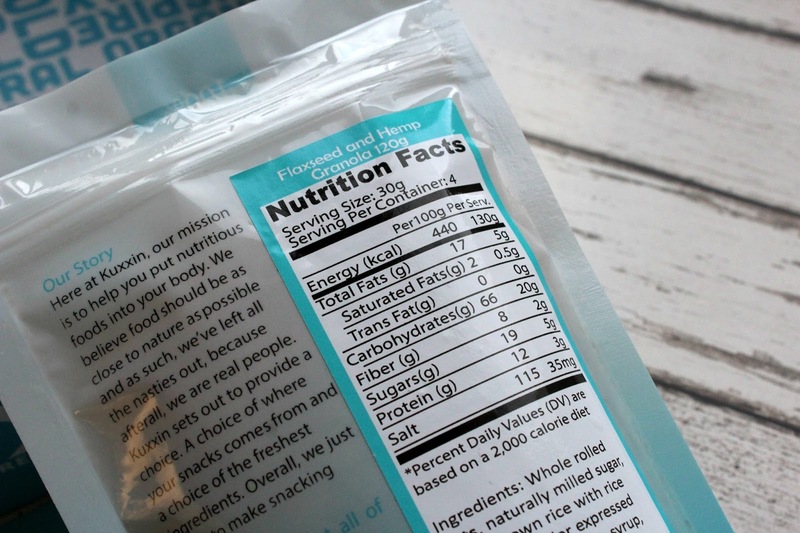 You’ll find the name of the product on the back of the packaging, as well as a breakdown of the nutritional information and a long list of what these organic products don’t include! All of the nasty stuff which really is best kept out of your diet. The box included 2 bags of flaxseed and hemp granola, whilst I would never eat a whole bowl of granola for breakfast (far too sweet), it makes for a good topping on Greek yoghurt or porridge for a bit of natural sweetness. 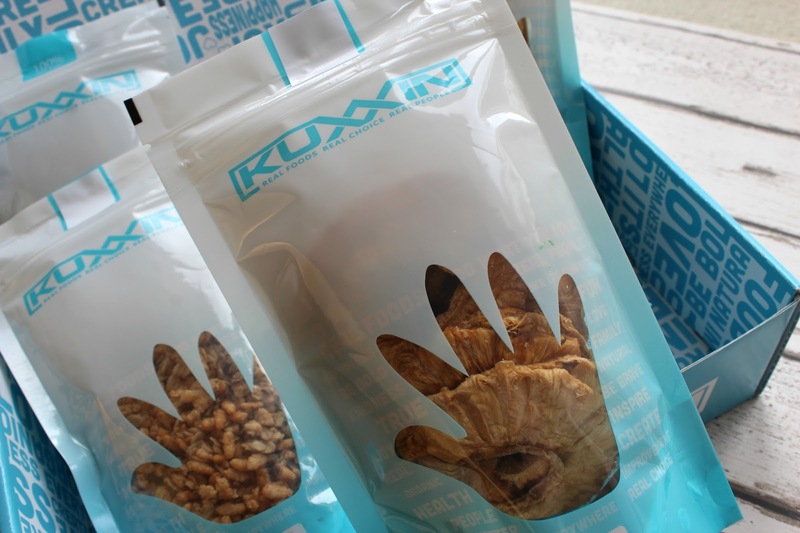 Unlike ordinary granola, this contains flaxseed and hemp which are renown for their high protein and fibrous content which can fight a whole host of different infections and illnesses. Dried fruit is one of my favourite things to snack on, as it’s healthy and easy – as long as it doesn’t contain too much sugar. This dried mango is perfect for a snack, or adding to the top of your yoghurts and cereals. 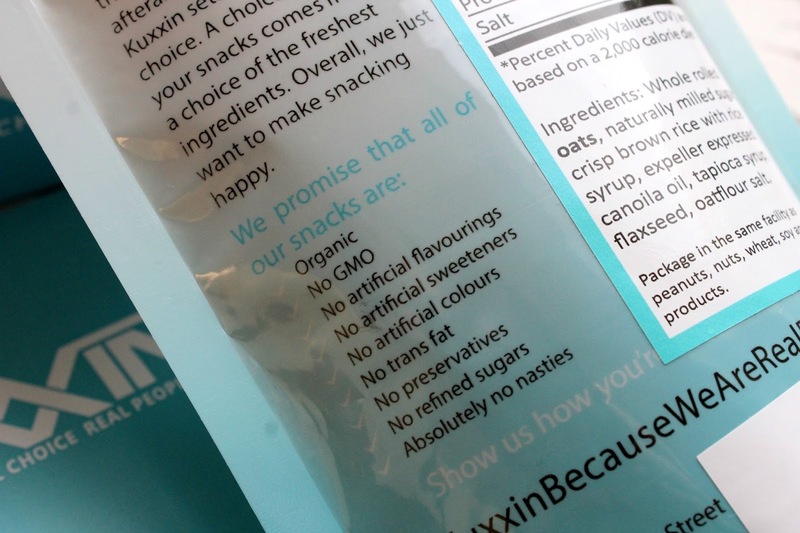 The bag that I was most excited about was the coconut cranberries & chocolate trail mix, i promise it’s not because it contains a form of chocolate…I’ve never tried anything like this before, and hence the name it has a mix of everything really, with seeds, chocolate, coconut and cranberries. This will be sooo good for topping greek yoghurt and for a little snack when I need a bit of a boost at work. The packet contains 120g so it will definitely keep me going for a while too! 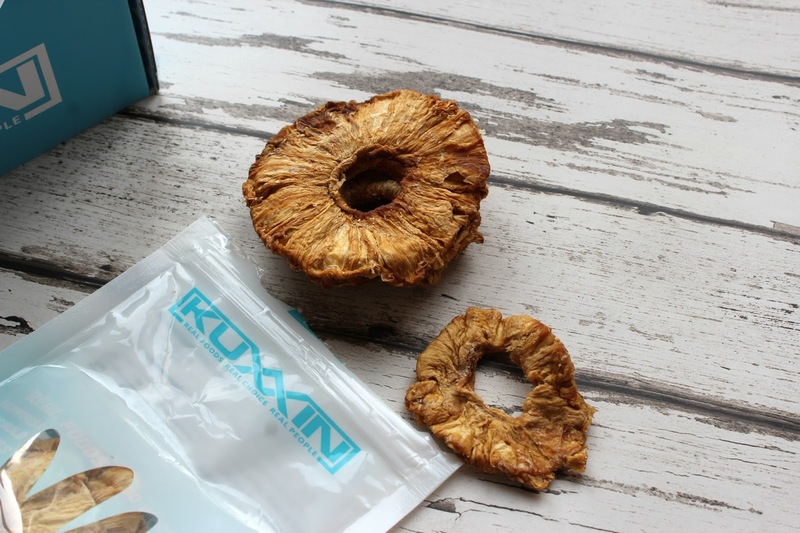 The last packet contained dried pineapple, again probably one of my favourites – I am such a huge fan of both fresh and tinned pineapple but have never seen anything like this before. With perfectly formed pineapple rings, this stuff is fairly chewy to eat, but it looks as if it has literally been dried from its original form so it still has all of the goodness that fresh pineapple has. It’s the simple things that please us the most, and I was so happy to see that each bag can easily be resealed at the top. 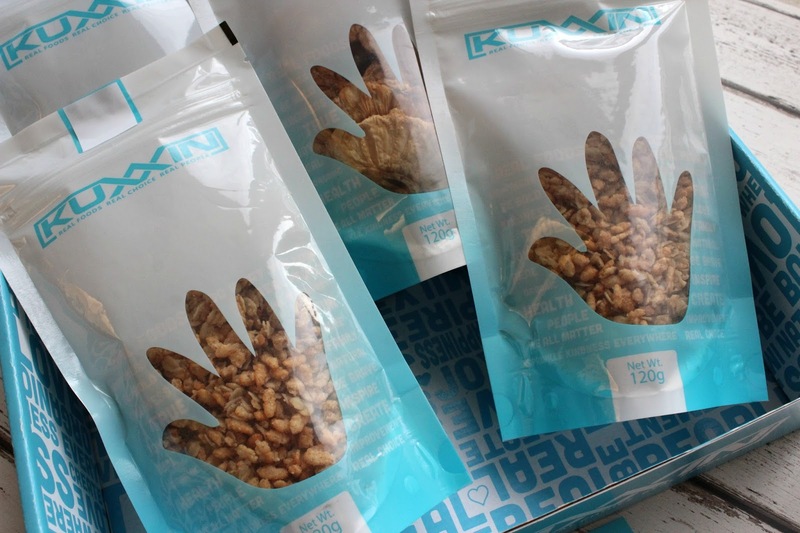 Perfect for taking them out on the go or storing them in your cupboards at home without having to use additional boxes. 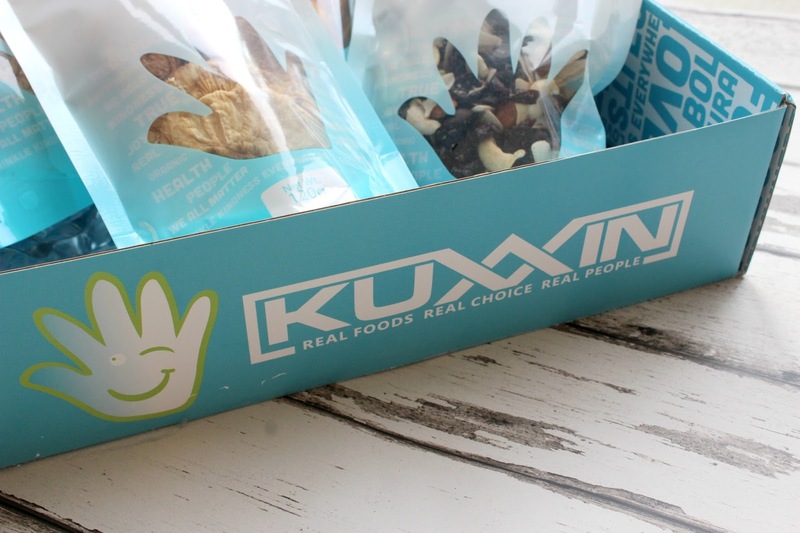 I was really impressed with trying out my first Kuxxin snack box, and I’m so pleased to have some new healthy foods to incorporate into daily diet. Healthy eating definitely gets boring when you’re not constantly introducing new foods to it so this has definitely helped my meals and snacks become more interesting. 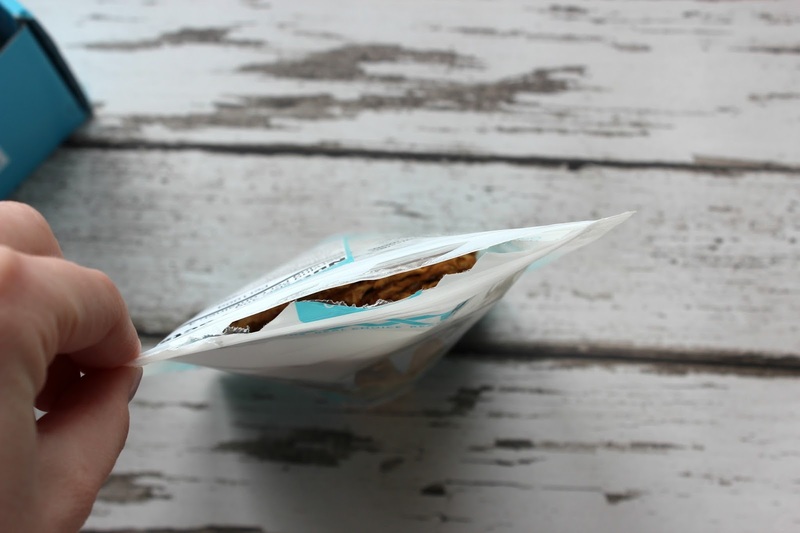 The convenience of this is the biggest factor for me as working full time and having other work commitments I just don’t often have the time to go out and look for healthy alternatives, so that alone is a huge advantage of the box for me. 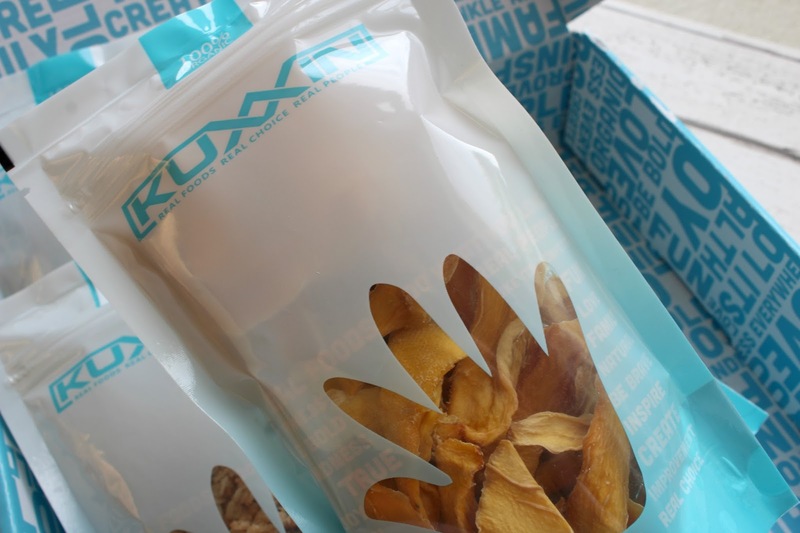 If you also struggle to find healthy snacks, I would definitely recommend giving this a go. The box also doesn’t have to be for yourself, it can be given as a gift to a friend or a loved one who is a health conscious individual too! Have you heard of Kuxxin before? Would you like to give it a try? 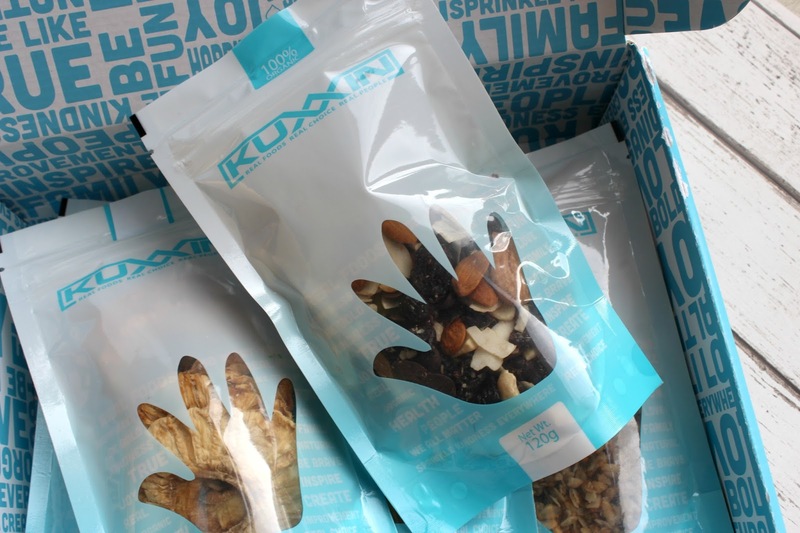 What do you think of healthy snack subscription boxes?